Ladies luxurious, soft mercerised Austrian cotton blouse with a lustrous silky finish and short sleeves. 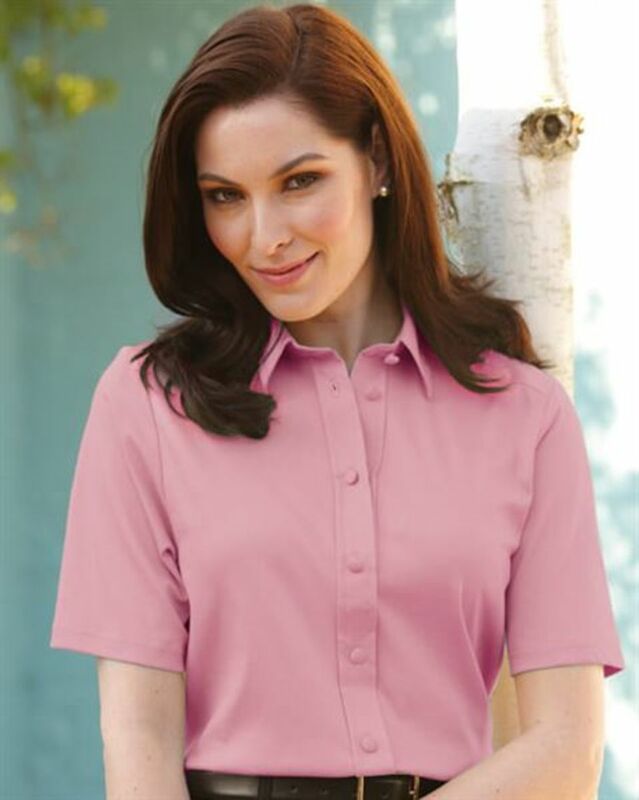 Traditional two piece collar, back yoke, back box pleat and front placket detail. Self covered buttons. 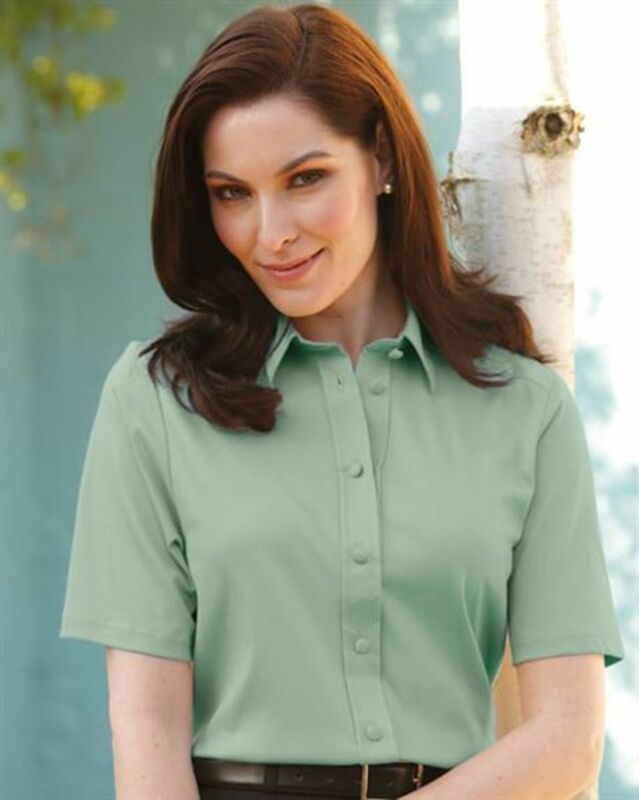 The pure austrian cotton gives a luxurious feel.